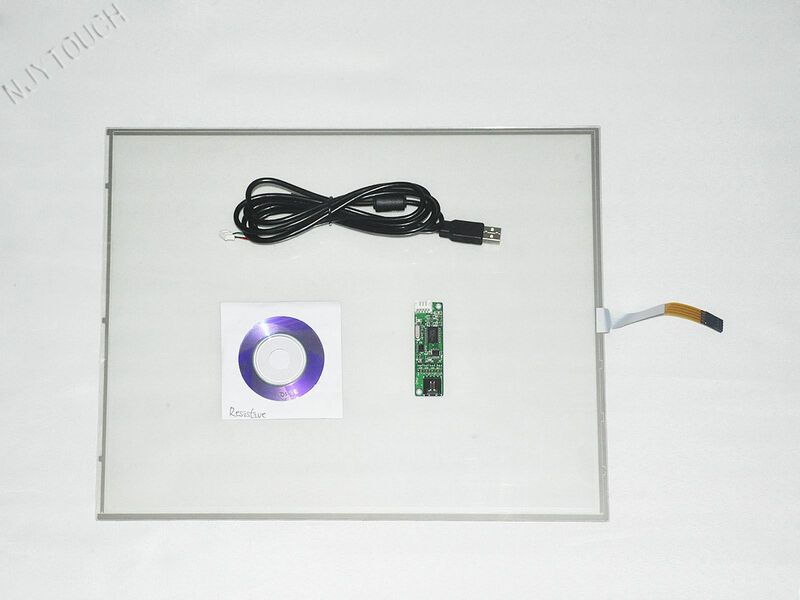 17 Inch 4 Wire Resistive Touch Screen Panel Kit With USB Interface(4:3), New! Kindly note:the delivery of USB cable is randomly for different color (black and white),but the function is the same. Note: If you can’t find the exact inch that you need, please contact us. We can help you solve this problem. We can provide you specific inches according to your requirement. Windows 98 / ME / XP / 2000, Linux, Mac, Win7,Win8,Win10 etc. Public access, gaming machines, POS (Point of Sale), kiosks, ATM, industrial controls.